Making the decision to purchase your own aircraft, whether for personal use or commercial use, is a huge decision and should never be taken lightly. There are many variables in the decision making process to purchase, but there is also the option to lease aircraft. Much like leasing an automobile, aircraft leasing is not for every operator but it does make more sense than purchasing for some operators. We’re going to take a look at the top ten leasing companies globally, but first we need to take a look at what types of financing is out there and how it differs from traditional aircraft purchasing to own. Why lease an aircraft when you can own one? The question is why would you want aircraft leasing when you could build equity with the intent to own the aircraft? This is a very good question which does not have a single answer, and differs (sometimes radically) from organization to organization, and person to person. Perhaps the most widespread and obvious reason is the proposed purpose of the aircraft, and what the expected usage. For instance, a corporate jet with limited use might end up being a good candidate for ownership since its wear will be considerably less than that of a commuter or corporate aircraft operated for the expressed purpose of executive transportation as a charter. This is dramatically oversimplifying the decision of whether to lease or own an aircraft. Tax rates vary radically between countries, and even between states in the U.S. and provinces in Canada. Owners who are interested in purchasing may still end up leasing an aircraft simply to avoid tax penalties due to the geographic location of the transaction and where the aircraft is housed. This is further exaggerated when the aircraft may be housed at more than one geographic location, or potentially between countries internationally. Operational cost is a factor which plays heavily in this decision. The more that an aircraft is operated, the higher that cost will be. The physical duration between hourly inspections lessens considerably which increases maintenance and operation costs as well as taking the aircraft out of commission more frequently. The advantage of leasing aircraft is the ability to maintain a more modern and current fleet of aircraft which will be cycled out and replaced again with new aircraft at designated dates or intervals. This is important for airlines and charters which expect to have a modern fleet and put a lot of hours on their aircraft. As long as they operate within contractual agreements of the lease, they will upgrade to new aircraft at the prescribed time, assuring modern equipment which also requires less maintenance to upkeep and upgrade than older equipment. 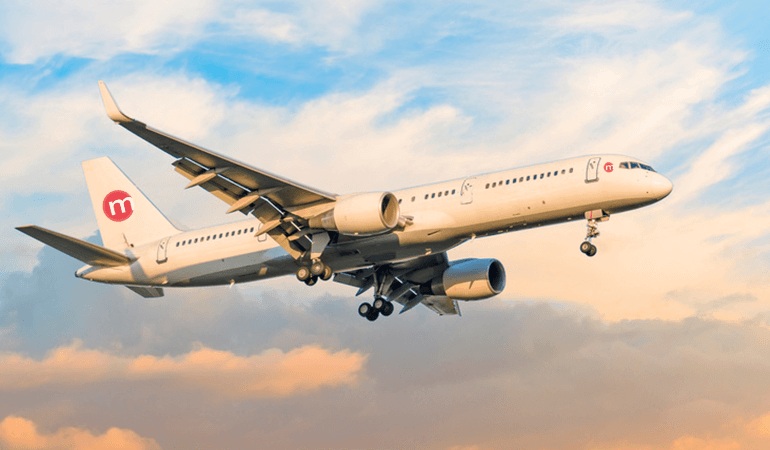 AerCap is the self-proclaimed “global leader in aircraft leasing”,AerCap owns approximately $42 billion in assets, working with over 200 companies in over 80 countries. As of June 2018, they own and manage over one thousand aircraft, with 411 aircraft on order. AerCap has nearly $9 billion in equity and made over $500 million in net income in just the 2nd quarter of 2018 alone. Chances are good that when you book an airline ticket, it will be on an aircraft financed through AerCap. The Emerald Isle has reason to be proud of this one. Dubai Aerospace Enterprise (DAE) is an enormous conglomerate which has perched itself very well in the global market, particularly after acquiring Ansett Worldwide Aviation Services last August which created a mega-firm. DAE possesses a $15 billion portfolio, managing 371 aircraft for 109 airlines with an average age of just over six years per portfolio. Their fleet is comprised primarily of the most prolific airline aircraft in the world, which are the Boeing 737 family, the Airbus A320 family, and the short-hop ATR 72-600. Known most widely for their specialty as achartering company, they are not a one trick pony. This English aviation giant has its hands in a number of jars. While it is true that they are primarily a chartering agency, they do lease a fairly sizeable fleet of aircraft in many sizes from twin-turbine commuters to Boeing 747s and Airbus A380s. Oh, and did we mention that they are a world leader in aerial delivery of animals and livestock? That’s right. Their subsidiary company, Intradco, delivers equine, livestock, and even giraffes. Textron is a familiar name if there was one in the world of aviation. The parent company of perhaps the most prolific aircraft manufacturer in the world, Cessna, and also probably the second or third most famous, Beechcraft. Textron also owns the Bell Helicopters, a company storied and rivaled in rotorcraft only by Sikorsky. Manufacturing is only one part of the financial equation for Textron; money is the other. Textron offers prospective clients the ability to finance aircraft from their industry leading brands, which includes more than just aircraft. Textron financial offers financing for simulators, engines, avionics, andeven airport support equipment. As is the case with so many mega corporations, GE maintains a powerful internal financial service. This does make perfect sense since the Fortune 50 company maintains a70% market share of narrow body jet engines which are far and away the most widely employed type of airliner the world over. GECAS has the backing of one of the world’s largest manufacturers so it can afford to support start-ups, low-cost, and regional air carriers, traditionally the riskiest airlines. But they also do not shy away from the legacy airlines, either. With offices in Dublin, Ireland, and Los Angeles, Air Lease Corp covers the two largest oceans and the land masses in between. Air Lease Corp manages over three hundred aircraft for nearly one hundred customers in nearly sixty countries. Following asecond quarter dip, Air Lease Corp is ascending back to match its two-year high from January and looks to continue growing steadily. Another product of the Emerald Isle, Avalon prides itself on owning and maintaining the youngest fleet of aircraft of thethree major lessors. These are, of course, the Airbus A320, A330, and Boeing 737 family which represent the most used airliner jets in the world in spades. Avalon’s impressive portfolio of clients include China Airlines, easyJet, Delta, KLM, Korean Air, and many more. This is already an impressive stable of thoroughbreds which is supported by about 150 other airlines in more than sixty countries. With five offices globally, Nordic seems poised to take a shot at wearing the title belt. NAC claims to be thelargest regional aircraft leasing company, which is integral to their stake in the market; they have put their eggs in that basket and are holding on firmly by maintaining a very young fleet of popular regional aircraft. NACs strategy seems to be paying off because their fleet hasgrown nearly 172% since 2010, from 131 aircraft to 356 aircraft. By focusing hard on one area which is oft ignored in favor of the more individually profitable narrow body and wide bodied jets, they have enabled themselves to become one of the most profitable aircraft leasing firms. After fifteen consecutive years of profitability, SMBC has made a name for itself as a dominant force to be reckoned with. They have divvied their assets up globally with the bulk being in Europe (30%), Asia (38%), and South America (22%) not far behind. At a weighted average of4.5 years old and maintaining a fleet ofnearly 700 aircraft, SMBC does not show any indication of slowing down and is likely to overtake competitors in stride. Taking into consideration that Asia represents the fastest growing airline market in the world with expected deliveries in2037 being nearly 2:1 over the U.S., it is no surprise that they should have a lessor in the top 10. However, it is difficult to determine just how much business they really do as their web presence is somewhat diminished in comparison to Western companies. The best estimate shows them managing a fleet ofsomewhere around 330 aircraft which places them in the ballpark of the other lessors in this list. Beyond that is difficult to determine with the closed nature of Chinese operations since they are inherently government controlled. For aircraft operators who wish to maintain a young fleet of aircraft and expect to turn-in inventory every 5-10 years, aircraft leasing is an excellent option and there are a number of very reputable companies which will help. Whether your company is a start-up, a regional, low-cost, or a legacy airline with a high pedigree there is going to be a lessor who specializes in meeting your specific needs. An interesting side note, nearly all of the major aircraft leasing and financing companies hold either offices or are headquartered in Ireland.This article helps provide some clarity on exactly why. Stay well informed and always up to date with our blog. Sign up now!